The secretary. The custodian. The counselor. These people in your building play an often behind-the-scenes, yet vitally important, role in your program’s success. Of these three, however, the counselor is often the most underutilized. It was not until I became a school counselor (after 10 years of teaching band) that I realized the many ways counselors affected my band program and wished I had known then what I know now. What follows only scratches the surface of how school counselors can help music programs. 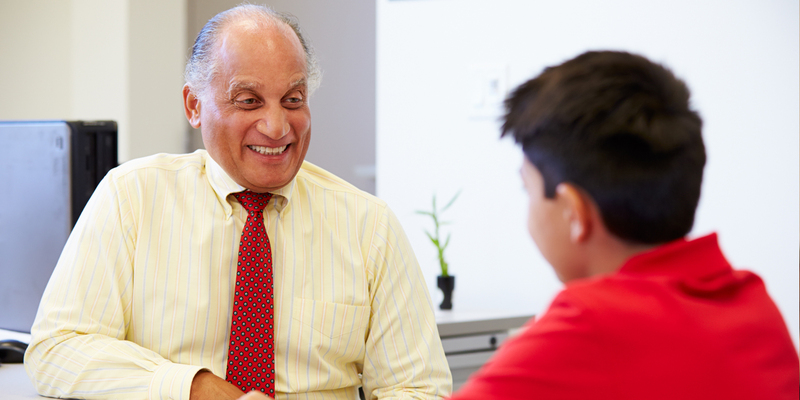 As a teacher, think of the school counselor as a partner, supporting students so they can have positive experiences at school—the Alfred to your Batman. Understanding what school counselors can do will help you identify ways to maximize their impact on your program. School counselors first serve as advocates for student academic and social-emotional well-being. Moving from the band hall to the counselor’s office, I gained a wider perspective. I realized my music class was just one positive part of our students’ school experience. The school counselor sees this big picture of student interests and goals, as well as what helps or hinders their progress toward achieving them. Ultimately, an effective school counselor has the heart of a helper. They work to help students as well as the family and school staff who support them. A happy counselor is a helpful counselor. With the rollout of House Bill 5 a few years ago, demands on school counselors increased dramatically. In response, school districts across the state hired more counselors to handle the load. I encourage you to gain a better understanding of how the school counselor position has evolved. Ask your counselor how you can make their job more efficient or more pleasant. Be available and helpful on test days, submit documents on time and completed accurately, and respond to communications in a timely fashion. Any counselor will be more willing to help you when you are willing to help them. Find ways to make your counselor feel appreciated. Get creative! At concerts, recognize them on the mic or in the printed program, ask them to guest conduct, perform, narrate, or be the master of ceremonies. Provide comp tickets to events where you charge admission, and invite them to chaperone field trips. Take every opportunity to amaze the counselor with what the students can do! A thank you note from you or the students always serves as a reminder of why the counselor loves his or her job. Even playing “Happy Birthday” or caroling at the counseling office for the holidays is a memorable treat. Knowing your counselor’s favorite treat goes a long way, too. While the suggestions presented here are ideas for showing gratitude, they are also strategies for involving your counselor a little more in your program. If the counselor has a positive experience with your program, the memory will be with them as they work with students and parents in deciding whether to join or remain in your program. If the school counselor posts a review about your program, will it be positive? Will the review even be accurate? When I help students choose classes, they always have questions. Find out what the counselor knows, correct misinformation, and provide answers to the most frequently asked questions. Providing this support will be worth its weight in recruitment and retention gold. Also, train your counselor to contact you immediately when there is a question for which they are unsure of the answer (and respond to them quickly). While general guidelines help with most students, sometimes you and the counselor need to work with students on an individual basis. Your availability and efficiency in such cases raises the likelihood of a positive outcome for you and the student. School counselors are tasked with ensuring students meet the state’s academic requirements. In the middle-grade levels, students are required to have one language arts, one math, one science, and one social studies course per year. These middle schoolers are also required to complete one fine arts course, one year of P.E., and at least one class that involves the study of careers and utilizes technology. Students in grades 9–12 are bound by the Foundation Graduation Plan as outlined by Texas House Bill 5. The state will graduate its first senior class on this newer graduation plan this spring. For an excellent start to understanding the requirements of this graduation plan, read “Understanding Graduation Plans” written by Fort Worth ISD Fine Arts Administrator Patrick Leaverton, published in the November 2015 issue of Southwestern Musician (available online at www.tmea.org/emagazine). Once you’ve read this article, take your questions to your school counselor to gain clarity and to brainstorm ideas on how your music program will help students satisfy the new graduation requirements. Knowing the school counselor’s registration timeline will help your recruitment and retention. In most districts, registration for the following year is completed around spring break so the district can use the data to see what classes students are requesting and how staffing should be adjusted. If your school counselor plans to register potential beginners for next year’s classes or conduct a future freshman orientation in February, plan recruitment activities to precede that. Registration timelines can change each year, so meet with the counselor annually to confirm them. You should leave this meeting with a list of important registration dates, and the counselor should leave it with a list of dates and descriptions of the music program’s recruitment events. Also, when registration is completed in mid-spring, students still have the option to change their minds on initial course choices. When the district works with staffing based on registration data, you can request data, too. Ask your counselor for a list of students who requested each of your courses. Between spring break and the end of school, you can analyze retention and work with students as needed. While there are a few counselors with music education experience, many simply do not have enough musical background to understand the difference between concert band and wind ensemble, or philharmonic orchestra and symphony orchestra, or choraliers and chamber singers. While your ensemble names hold meaning for the teacher and students, they mean nothing to the person who deals with registration of students in the course. When it comes to classes, school counselors think in course codes. It’s a little thing, but using course codes in your discussions, correspondence, and enrollment lists will prevent confusion and help the counselor perform registration more accurately and efficiently for you. Don’t know your course codes? Ask! If a student tells the counselor they can’t participate in your program because they can’t afford the fees, how will the counselor respond? If a student says they don’t want to take the class again next year, what process does the counselor follow to exit the student from your program? If a new student enrolls in the middle of October, in what level ensemble will the counselor schedule them? If a student shares information with you that causes concern, what step do you take next? These are just a few examples of situations that occur often enough that they will benefit from planning sessions between you and the counselor. And if there is no plan, both parties should know how to reach the other quickly. Two of the most common obstacles to participation in your program are related to master scheduling (grades 6–12) and GPA (grades 9–12). While the counselor may not be the official master scheduler, they will have a strong understanding of the master schedule needs and know what to look for and what questions to ask. Are there enough periods to allow students to take required courses and your class? At the middle-grade levels, students may need to take supplemental reading or STAAR-preparation courses, or they may be encouraged to take high school credit courses. To allow students to take advantage of these extra options and continue taking their required courses and chosen elective, some campuses have adopted a “zero hour” before school or an after school “bonus hour.” Additionally, some secondary campuses on a block schedule have found a way for students to double-block their athletic and fine arts courses so students can have daily practice. Regarding GPA, some of your students may be in the top for their class ranks, and even earning a 100 in your class would bring their GPA down and move them lower in the ranks. High-performing students have dropped their athletics and fine arts courses for these reasons. A few districts have responded by developing a process for this type of student to earn honors-level GPA points in your class. To develop district-wide programs like this takes effort and coordination between the fine arts director and other district administrators. Ultimately, the counselor and you will work together on the campus level to implement it. The counselor’s goal is always student success, not the success of any single program. The last decade has seen the introduction of more educational opportunities. With so many choices, counselors must work with students and their families throughout the decision-making process. I have had the pleasure of working with student-minded fine arts teachers who have made themselves available as a resource and who have been willing to help a student stay in their program while still taking advantage of other academic opportunities. As you work with a counselor, asking questions and brainstorming new ideas, always keep the best interests of the student in mind. In all the work you do together, ultimately, you and the school counselor are partners in helping students have a positive experience at school. Reprinted from the January 2018 issue of Southwestern Musician with permission by Texas Music Educators Association. Ms. Stringer also presented a clinic on this topic at the 2018 TMEA Clinic/Convention. 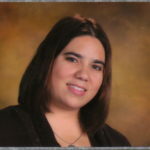 Sara Stringer is a school counselor at James Martin High School of Arlington ISD, located in Arlington, TX. She graduated with a B.M.Ed from Baylor University and taught band for ten years. She is married to Michael Stringer who taught orchestra for seventeen years and now advocates for students and teachers as coordinator of fine arts in Arlington ISD. When their son was old enough to start activities of his own, the family schedule became hectic and Sara earned a M.Ed in school counseling from the University of North Texas and began her next phase in education. She loves helping teachers, students, and their families, and still has a big heart for the fine arts.